BEFORE. 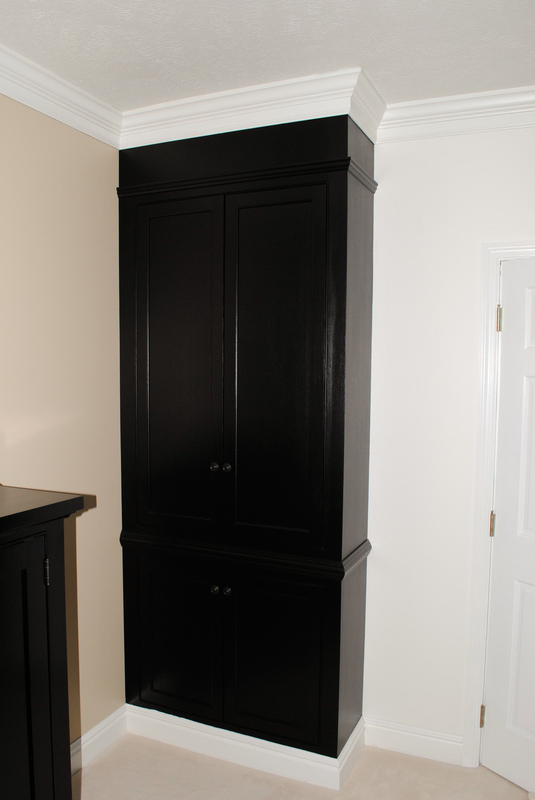 We designed a two-piece corner unit to match the style of the existing bedroom furniture. 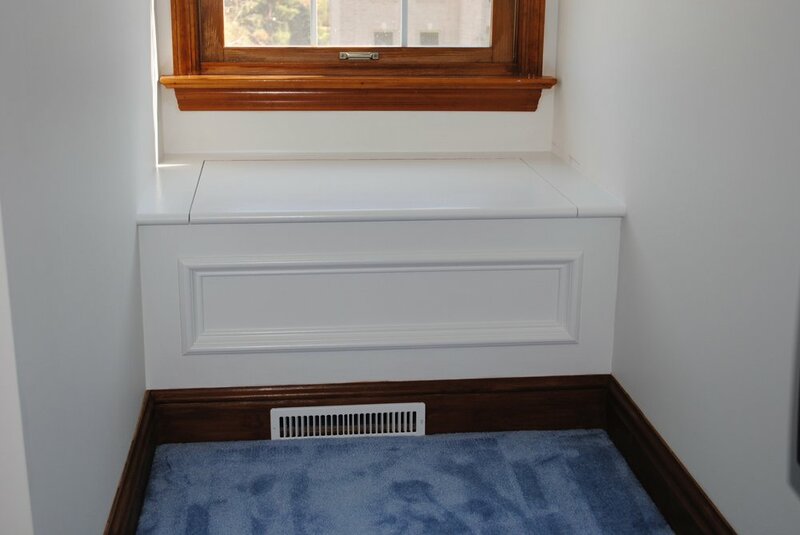 We remove the existing base and crown, install the unit, then run the moldings around the unit for a permanent look. Two-piece crown. 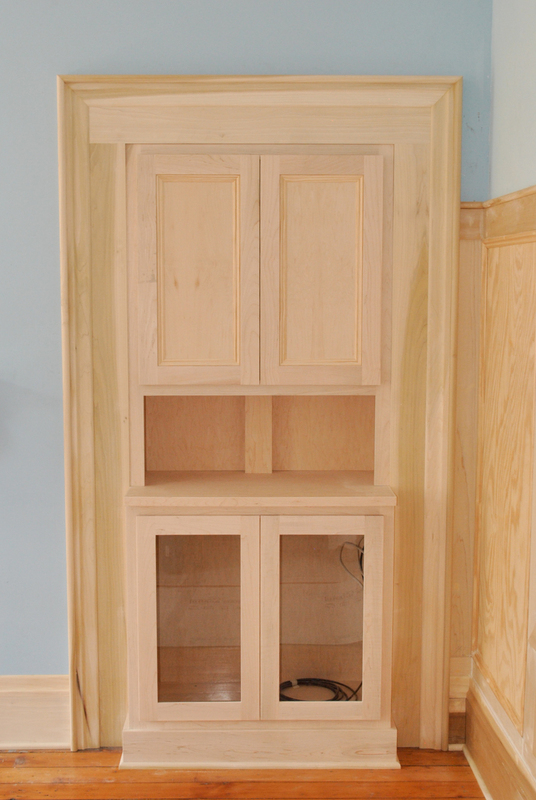 Cabinet doors are solid maple frame with maple ply panels. BEFORE. We were hired to build a TV unit for this space. The wall paneling was existing. 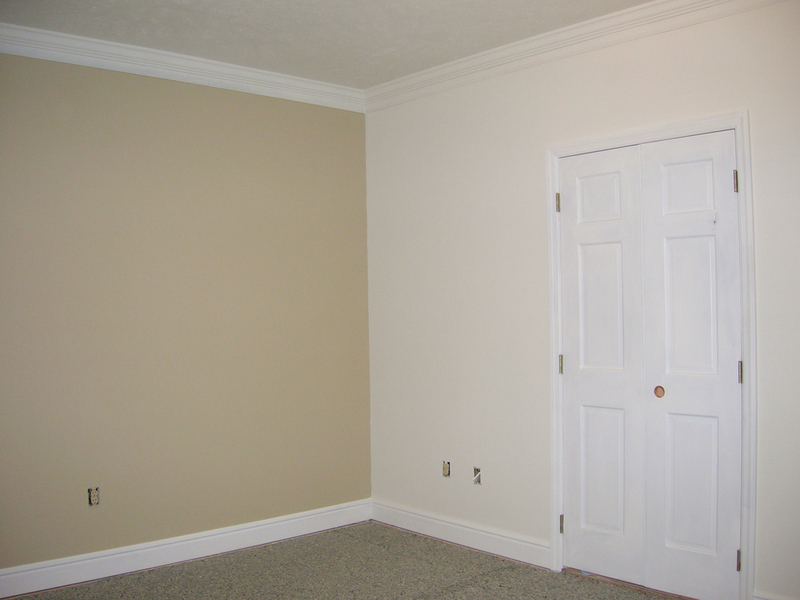 Maple stile and rail door frame with 1/2" plywood panels and applied panel moulding. 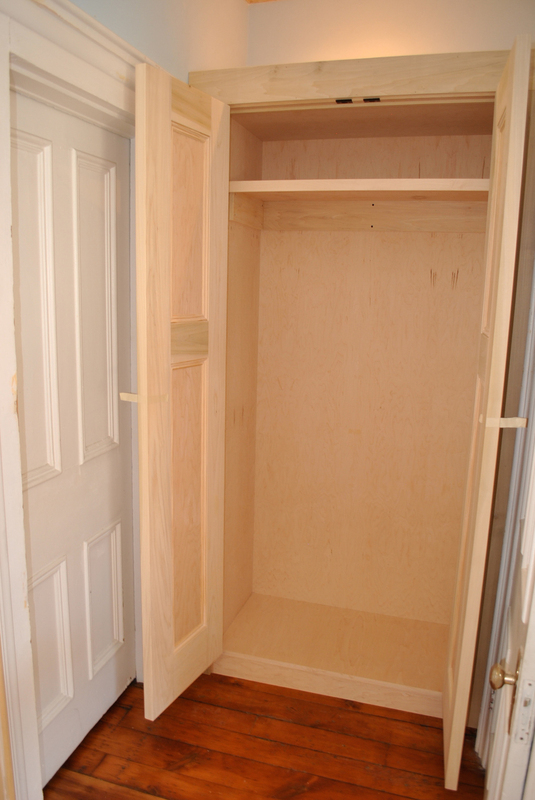 Client wanted a closet unit in this space for more storage. Custom closet doors glued up and panel moulding being applied. 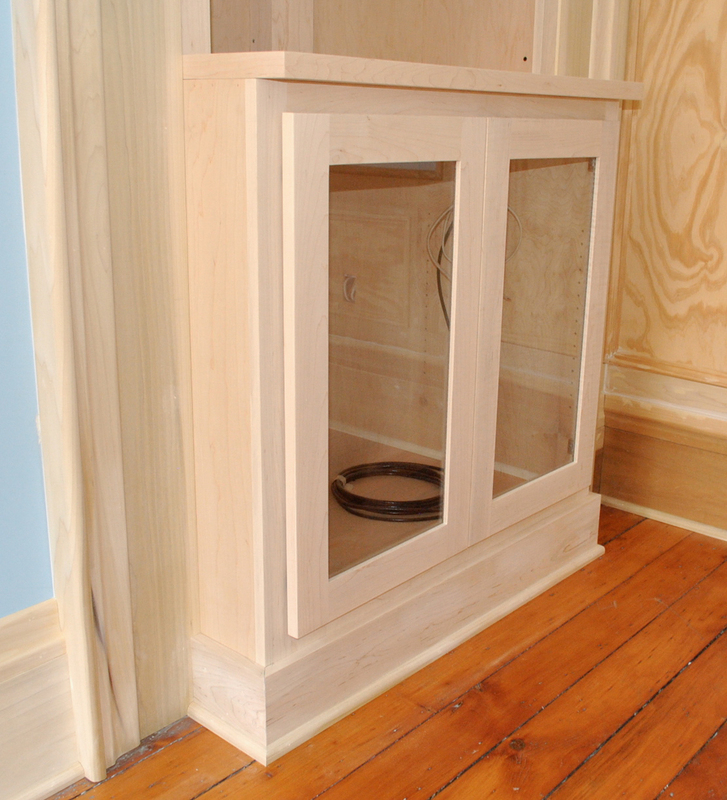 1 3/8" poplar stiles & rails, 1/2" ply panels, and applied panel molding. One of two window seats built for a residence.